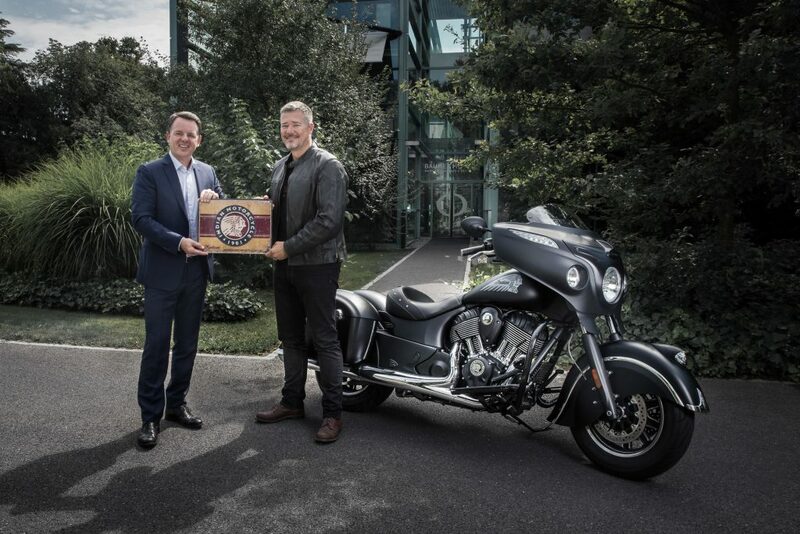 Alain Zimmermann, CEO of Baume & Mercier, with Grant Bester,Vice President, Indian Motorcycle EMEA, celebrate their partnership in front of a Chieftain Dark Horse® motorbike. Swiss watch brand Baume & Mercier selected the famed Bonneville Salt Flats as the prefect venue today to announce its news affiliation — with America’s oldest motorcycle brand: Indian Motorcycle. Both Baume & Mercier and Indian honored the Burt Munro who took his Indian Scout Streamliner to the Salt Flats 50 years ago — earning the name “The World’s Fastest Indian.” To celebrate the 50th anniversary of Munro’s iconic land speed record, Lee Munro, Burt Munro’s great nephew, recreated the historic run at Bonneville yesterday. 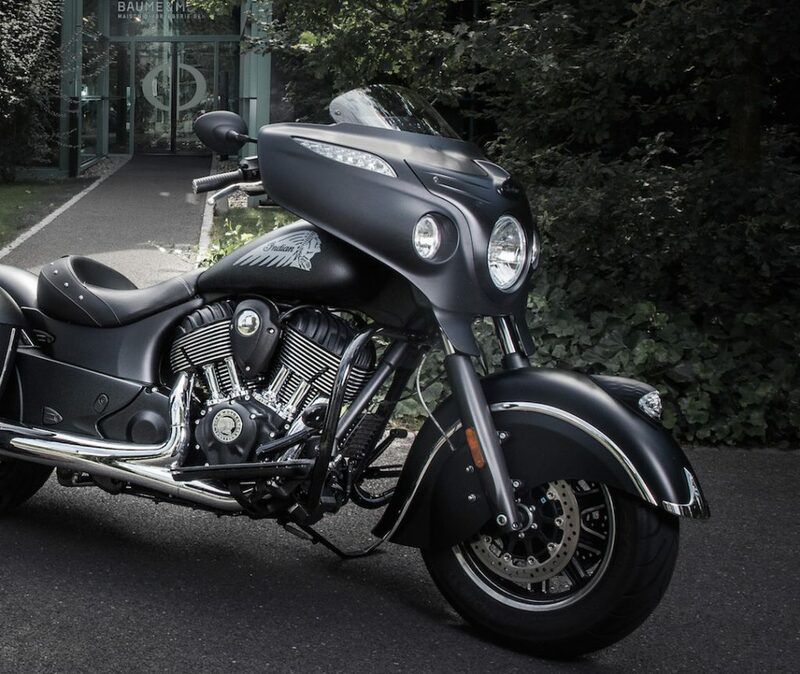 Indian Motorcycle partners with Swiss watch brand Baume & Mercier. Alain Zimmermann, CEO of the 187-year-old Baume & Mercier has been carefully engineering a host of important affiliations for the brand over the past three years, including its relationship with the Carrolll Shelby Company and production of timepieces inspired by the famous American brand. Additionally, this year, the brand established the Clifton Club collections for gentle sportsmen. We look forward to the collaboration with Indian Motorcycles and the limited edition watches that will come from the celebration of Indian Motorcycle’s incredible history.